Ever since I can remember I have been one of those people who love to fall asleep to music or at least some sort of noise. I have always been more productive even when listening to music, it just seems to motivate me more - even to sleep. When Kevin and I got married I kind had to teach myself to go to sleep in the quiet. Even though Kevin doesn't mind either way, he still prefers to fall asleep silently. Of course it depends on what I eat or what activities I partake in throughout the day, but there are just some nights I need to listen to something other than my breathing to fall asleep. I hate having to ask or even potentially keeping Kevin (and ahem Declan) awake because of the noise. However, I recently discovered SleepPhones which have hopefully become my forever solution! SleepPhones are soft headphones (a soft headband with built in speakers) that allow you to listen to music or audio books of you choice. 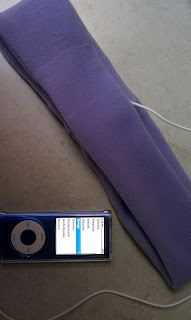 The SleepPhones work with most "iPods, smartphones, CD/DVD players, MP3 players, radios, bedside TVs, white noise generators, computers, or anything with a 3.5 mm jack". 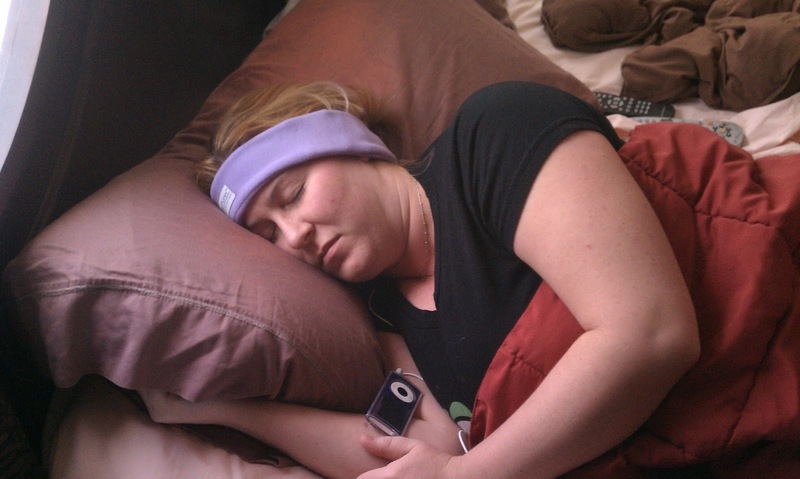 SleepPhones® are the first and most comfortable sleep headphones on the market. I was able to listen to my music as any level and even at its loudest Kevin could barely hear it. Kevin said he thought they would be even better if they were blue tooth accessible but the cord was long enough it didn't bother me a bit. I did feel like I was going outside to play in the snow or going to workout wearing them the first few times though (haha). Its great because now I can have my cake and eat it too (figuratively speaking)! I can get to sleep pretty quickly and stay asleep better now with the headphones. I can listen to whatever I like and not have to worry about disturbing anyone else. These are super comfortable too and nothing bothersome like normal headphones would be to sleep in. Recommendation: I thought these were great and a pretty decent price. I'd prefer of course a little cheaper for a set of head phones but they come in 3 different colors to choose from with a couple upgrade options to the cords. They are also made "lead-free components and Polartec® recycled plastic non-pilling wicking fleece" so very eco-friendly! Giveaway: SleepPhones is going to give one of A Lucky Ladybug's lucky readers SleepPhones of their own! I would love to win these sleep phones for my youngest who has issues sleeping.